If you are a creative person, if you have patience and extra free time, this is the thing that you can make in your free time. 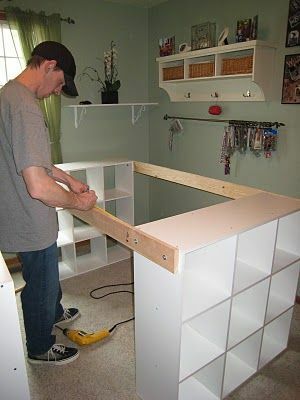 This is an idea about how to make creative DIY customized craft desk with storage shelves. Where to add the desk? 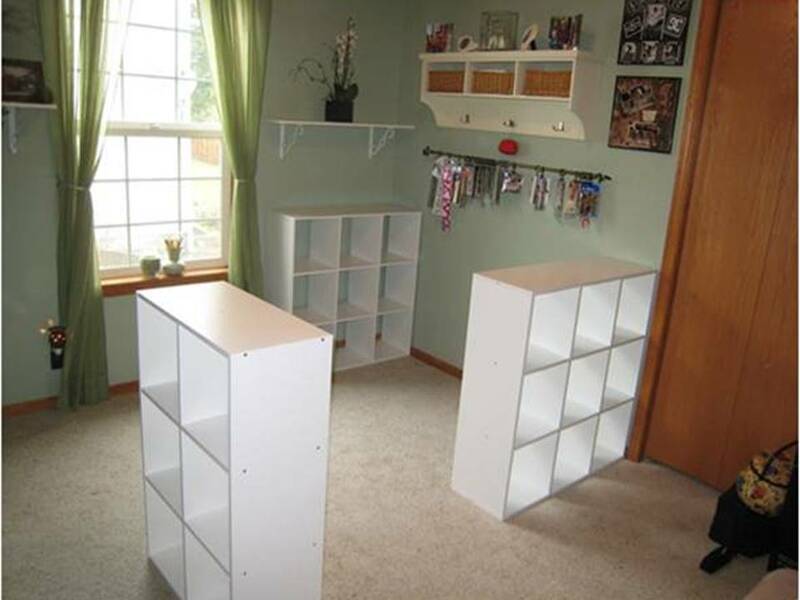 Well, you can add it to each room of your house and to use it for storage place or use it as a homework station. It’s great to make somehting that you need it and you will use it in future! The idea is great and you just only need to have an imagination and to make it! When the desk with the shelves will be already finished you can arrange there your books, your things that you are using every day. It’s so simple, make it and love it! First, see the instructions that we shared here in the post that will make the things clear!!! By the way check the design of our favorite green/grey living room designs. 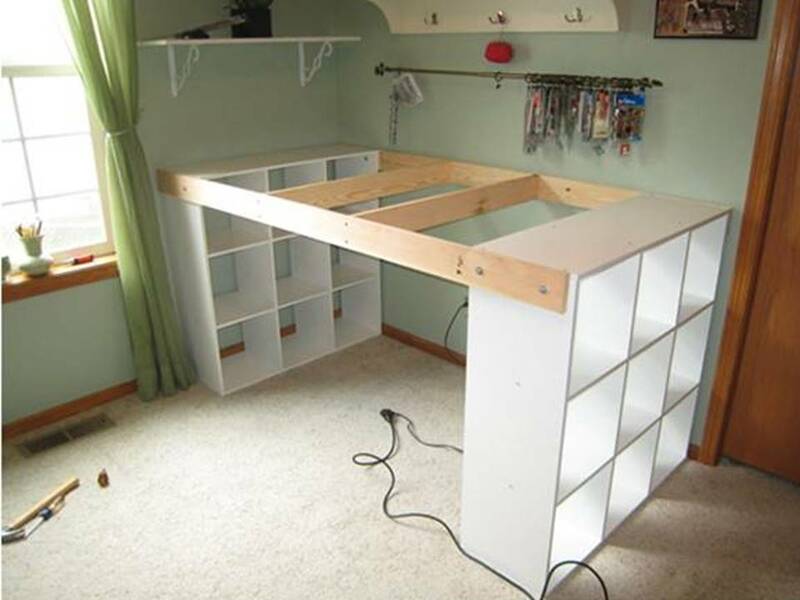 First of all, you need to choose a suitable place for building this craft desk with storage. For example, this place can be your own room, your kitchen or entrance hall. The next thing you need to do is to gather the needed material for making it. 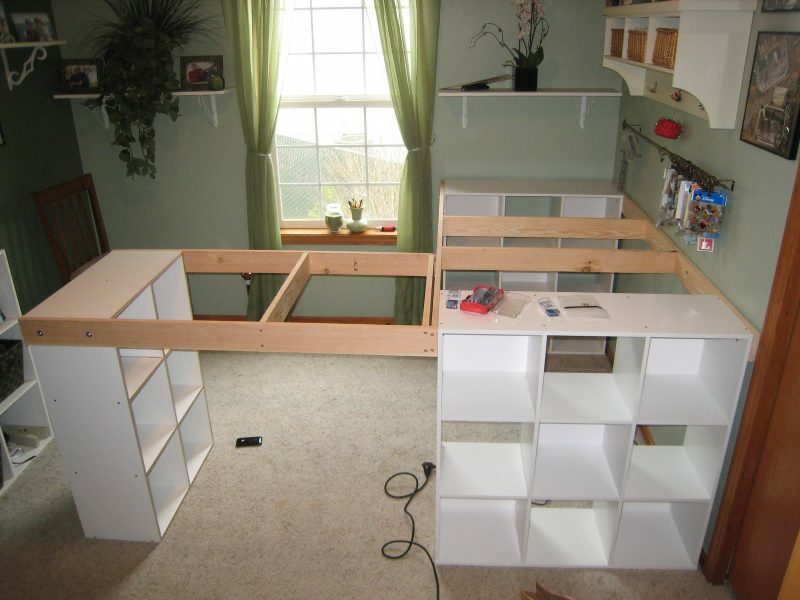 Follow our photos that are step by step to the final process of this do it yourself project. When you have gathered all the wood you will need, you have found the suitable location for the desk, it’s time to start with the work. For more details about the instruction go the second photo and make the things clear. When you have finished the first part of the desk, it’s time to go the other part. Shelves to shelves, too many shelves that you’ve been missing all the time. And now, you have done something dreamy, a desk with a lot of shelves! Step by step, your reception desk can be ready for use! Follow the link below this photo to see the full instructions about how this is made in easy way. Go to the last photo to see the final result of the project. In the last photo of this post, you can see the final result of this project. When your desk with storage shelves is already finished you can arrange there the things you need and use each day. 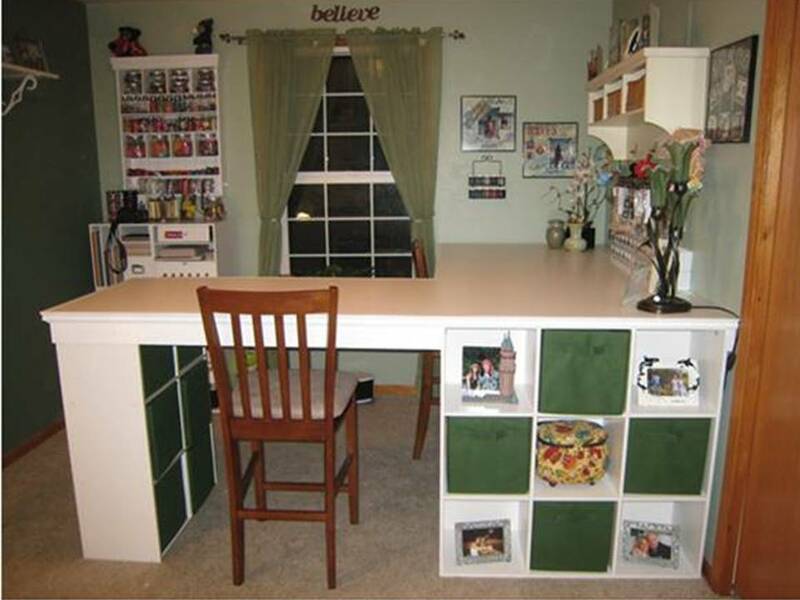 This desk you can use for make-up organization or you can even use it for homework wriitng. You will admire the design every day, just be creative and make it! I hope that our post and idea will boost your inspiration and creativity and you will to make it this for your home place! If you succeed to make it, please send us a photo below this post in a comment! thank you for your appreciated time spent on our page! Tell your friends about our creative idea and creative website!